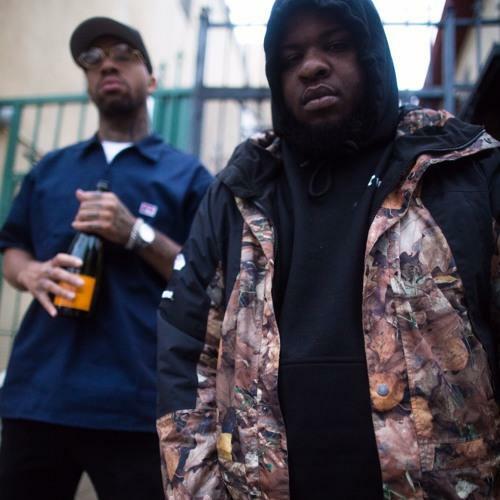 Home>New Songs>Larry June Songs> Larry June & Maxo Kream Team On Sledgren-Produced "Papers Served"
Larry June and Maxo Kreak have a collaboration slated for June and Sledgren's upcoming project Sock It To Me Pt. 2, but first, they're sharing an additional bonus cut. "Papers Served" is also produced by Sledgren, and is one of the Pittsburgh producer's most truly menacing moments. The beatmaker who excels at making light-on-their-feet instrumentals for Wiz Khalifa can also deliver pulverizing trap instrumentals that compete with the best in the business, and this is one of them. Larry never gives into the aggressive tendencies of the beat, instead floating freely above it with his characteristically casual delivery. Maxo is much more locked in, going for a darting triplet flow that skips along at a thrilling pace. Maxo joins Curren$y, Starlito, and Dom Kennedy, as one of the well-selected guests on June's project, which is due out Saturday. Take a look at the full tracklist for the album here. Gorillaz Bring Sharp Grooves On "Tranz"
SONGS Larry June & Maxo Kream Team On Sledgren-Produced "Papers Served"